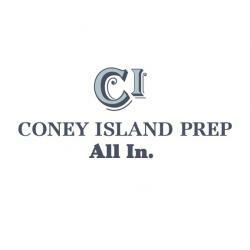 The Director of Operations will design, implement, and manage clear systems, so that Coney Island Prep runs smoothly on a day-to-day basis. The school’s mission drives every decision that is made, and the school’s operations are designed to support an academic program of uncompromising excellence. The Director of Operations serves as a co-leader with the Principal, ensuring he/she and the classroom teachers can focus on ways they can improve students’ academic experiences, rather than on all else that is required to keep the school running. He or she will be primarily responsible for ensuring that programmatic guidelines for reporting and implementation are properly followed. The Director of Operations will manage the Academic Operations Manager, Operations Manager, and the Operations Coordinator. The Director of Operations will be hired by and will report to the Chief Operating Officer. Manages the school-based operations team and ensures each individual and the team as a whole are performing at the highest possible level. Instills a team mentality and maintains a focus on making the instructional environment and practices better and easier for scholars, families and staff. Student Recruitment: Manages student recruitment, admissions applications, registration, and waitlist and engages new families in school activities. External Relations: Acts as point person in hosting visitors for school tours and for community presentations. Ensures family communication is clear and consistent with a high-level of professionalism. Facilities: Manages and oversees the school's facility maintenance, design and strategic development. Finance and Purchasing: Oversees the school's budget and finances; oversees school-based purchasing and ensures adherence to school's fiscal policy and procedures. School-Wide Systems and Logistics: Develops and holds staff accountable to meeting expectations for school wide systems (arrival, dismissal, lunch). Plans and coordinates logistics for school-based events, and other logistically complex activities and events, including school-wide family events, field trips, showcases and ceremonies. Oversees food services, transportation, health and safety. Technology: Oversees the strategic procurement and maintenance of staff and scholar technology equipment in partnership with the Chief Operating Officer. Student Information and Reporting: Oversees the integrity of the school's student information system, data analysis and reporting. Compliance: Works with the Chief Operating Officer and/or HR Manager to ensure school-wide compliance with health and safety laws, teacher certification and fingerprinting, city and state education mandates, and all federal and state workplace regulations.